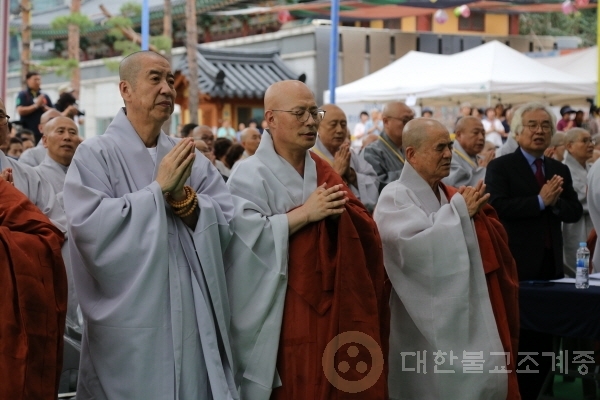 September 19, Buddhist Era 2562 (2018), Chanting Contest for Jogye Order’s Student Monks was hosted at the front yard of Jogyesa Temple’s main hall. 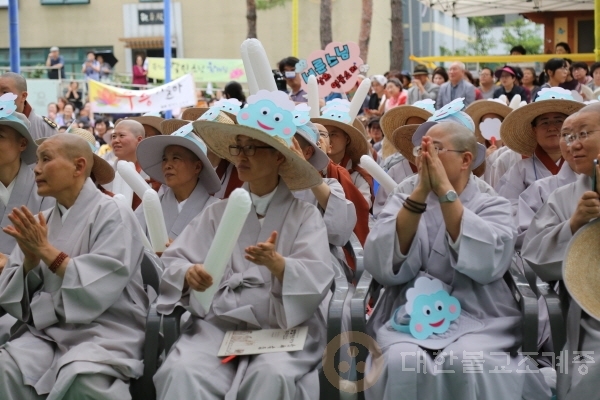 With the theme of <念佛者誰-Who is the chanting Buddha>, the contest was held for two individual criteria (traditional and creative chanting) and two group criteria (traditional and creative chanting). The preliminary round took place before noon. 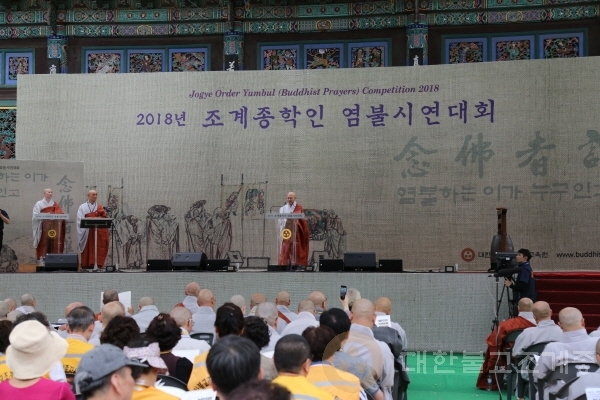 12 monks (6 for traditional and 6 for creative chanting), 8 teams (4 for traditional and 4 for creative chanting) who qualified to the main round competed for the grand prize. Grand prize for traditional chanting was presented to Ven. 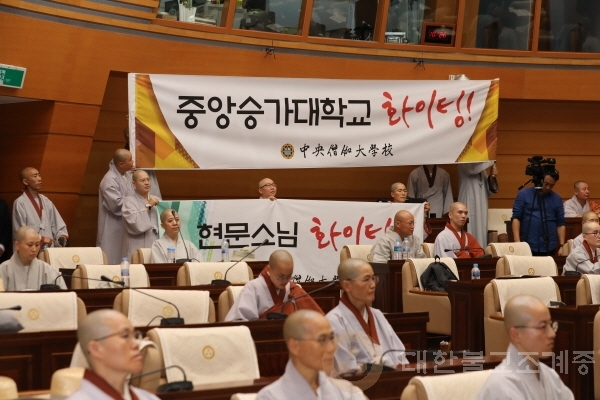 Hyuntae who chanted “Hwacheong”, for creative chanting was presented to Ven. 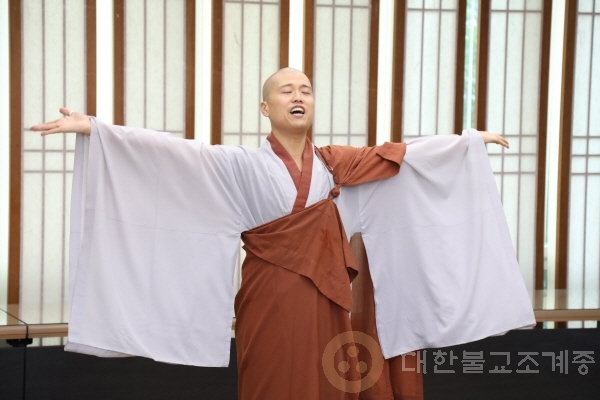 Jeongryun who chanted the “Great Compassion Dharani”. 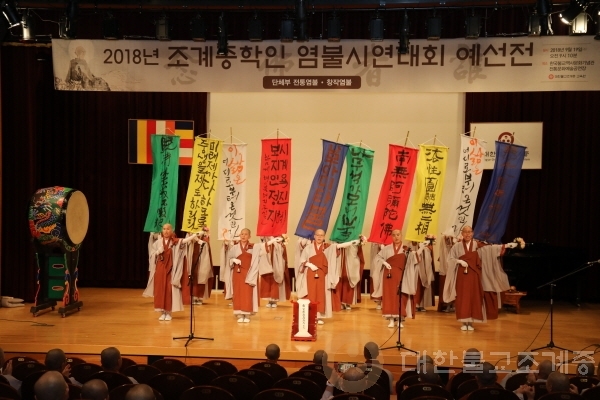 Bongcheong Diamond Team of Unmunsa Temple and Team from Haeinsa Temple consisted of 10 student monks won the grand prize for the group criteria. The popularity award went to Unmun’s Priestling Sudhana Team of Unmunsa Temple and Hwaeom Apprentice Team of Bongnyeongsa Temple. The encouragement award went to Dongguk University Gyeongju Campus and Cheongam Sangha Unviersity. The chanting contest is to promote to the student monks the practice of chanting and provide them with understanding and pride in practicing various types of Buddhist rituals and to habituate the chanting practice as a means to practice and propagate Buddhism. Last of such event was held four years ago in 2014.